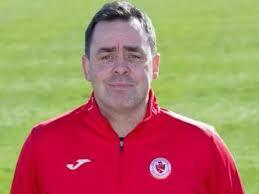 Donegal man Brian Dorrian has taken over as caretaker manager at Sligo Rovers for the rest of the season. The Killybegs man, who is the club’s U-19 manager, will take over first team duties following Gerard Lyttle’s departure as manager this week. Dorrian, who is a former manager of the Donegal League’s Oscar Traynor team, took training at Sligo yesterday. He will be in charge for Friday night’s trip to Dundalk in the Premier Division - a match which will be shown live on RTE 2. Dorrian will also be in the dug-out for his team’s final home game of the season next Monday against Bohemians, and their trip to play Shamrock Rovers on Friday week, October 26.